For our out-of-town patients, you can enjoy a restful and relaxed pre and post-op recovery at the Courtyard by the Marriott, which is located next door to our surgical suite. A getaway cosmetic procedure is ideal for those who wish to recover in a relaxed, comfortable setting during their healing process. Once you have recovered from your procedure you can return home with a great new you. 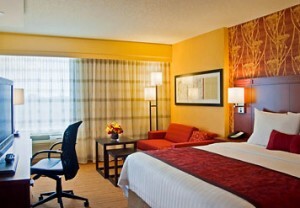 Our staff will help you with the accommodations for a relaxing trip to the Maryland area. To arrange a consultation with our office, feel free to give us a call at 301-951-5120 and speak with our patient coordinator. For location and directions to our Chevy Chase, Maryland office, click here.